We already have full immersion of Summer here in Switzerland. I can't remember having had such a beautiful May weather. This means spending a lot of time outside, at the lakeside and in the sun. Which is the call for sunscreen. As I spend a lot of time on the water while surfing or doing sports outdoor, I take care to use effective and lasting sun protection. I was recently traveling to Italy and Fuerteventura and was testing the Daylong Sunscreen. I used SPF 50+ for my face and SPF 25 for my body. As I am always covered with a wetsuit in the water, this is enough. As I don't lay in the sun too long when I am on the beach. To give my skin some hydration after long days in the water and on the beach, I used the after sun lotion. 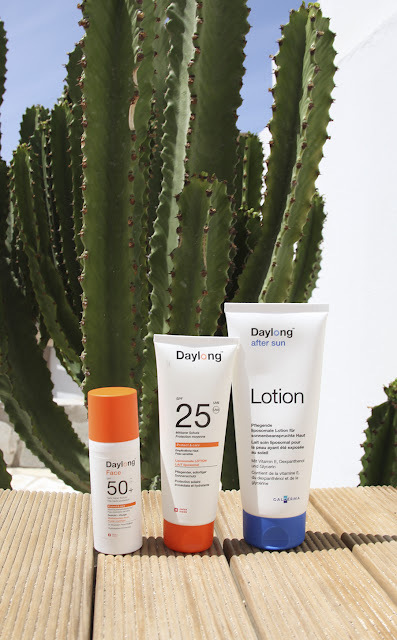 What I personally like, is that the products from Daylong have a very soft scent and are not heavily perfumed. As well the face suncreen is in a nice pump bottle which makes it easy to apply without getting any sand in there. 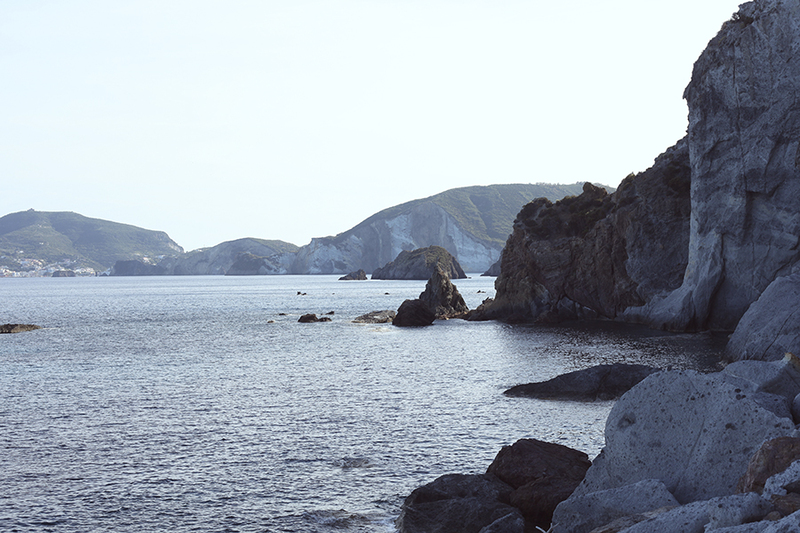 The pictures were shot on a recent trip to Ponza, a little precious island not far away from Rome. We went there by boat and took a bus to discover the island. I can only say it is a real jewel. We were lucky enough to enjoy the calm before the storm, as we were there before the season started. So we had this lovely bay all by ourselves. I will have a surprise with Daylong for you the next days, so don't forget to check my instagram @bonsoircherieblog.